CNN: Dario Brignole discusses with CNN why Soccer in USA is the new land of opportunities to make real money. Dario Brignole - CEO Shine Entertainment, Don Garber-MLS’S Chairman and Yon de Luisa- Mexican National Teams at SOCCEREX MIAMI 2018. CNN: ¿Quién pierde si la final de la Copa Libertadores no se juega en Argentina? CNN Fans: The global business of Cristiano Ronaldo. Dario Brignole discuss the million dollars he will make in his new team in Italy. 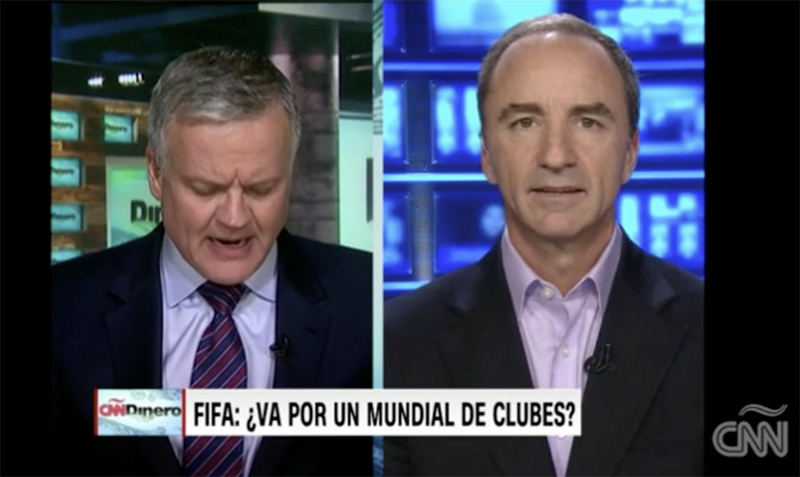 CNN Dinero: FIFA Expanding, Good Business? 2015 CNN Dinero: Por que renuncio Blatter?